Barb Kozlow is in her 26th year with the Keyes Company. Kozlow had a successful real estate beginning as a Sales Associate before entering Management. Barb is a second generation Realtor. Currently Barb holds the position of Regional Sales Manager and oversees 15 offices north of the Broward/Palm Beach line. Celebrating it's 90th year in business, Keyes is the largest full service, family owned and operated real estate company in Florida with 37 offices and 2700 Realtors. The company's core business is residential, commercial and luxury real estate. Mortgage, title and insurance services are also part of their offering. Kozlow has served as Director on the Board of the Realtor Association of the Palm Beaches, the Board of the Florida Association of Realtors and Board of the National Association of Realtors. 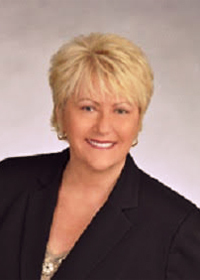 In 2014 Barb was President of the Palm Beach Association which is the sixth largest in the nation. Other honors include President's Award in 2013 and 2015 and Mega Broker's Office Award 2015. She and her husband Les reside in Palm Beach Gardens with their dog Roxy. Barb's best advice: Utilize Chamber Members! Having used many members personally - eg. movers, attorneys, and travel services - have never been disappointed and would not hesitate to engage others as needed.